I’d always set the whole February as mine. My birthday celebration never ends on the 2nd only. I always claim it as my whole month..so I call it my birthmonth celebration, not a birthday celebration. So wuzzup with a 27-year old like me? 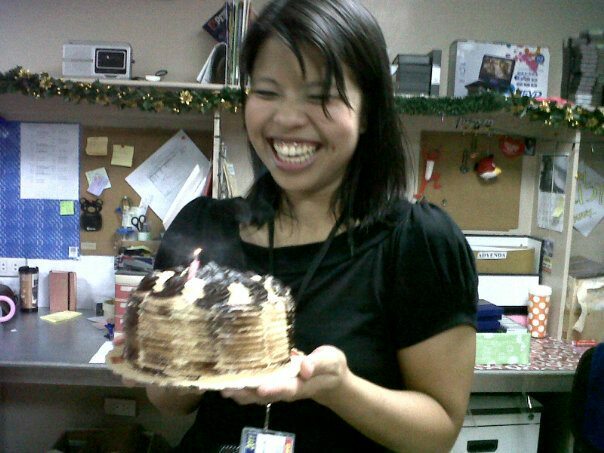 I’m so surprised to have lots and lots of cakes (and because of that I feel loved *mwah mwah*). I intended not to put my birthdate on FB so as to test who knows my day (and until now people greet me). But what I’m expecting is what my Abba will give me for this new season. For sure this is another time to bloom…and it’s up to me to go with it. I really don’t feel as my age. Age is only a number that people tend to be scared of. But it’s not something to be scared of. Age is a landmark of God’s gift called life. I’ve come to this age and this is a blessing to me.